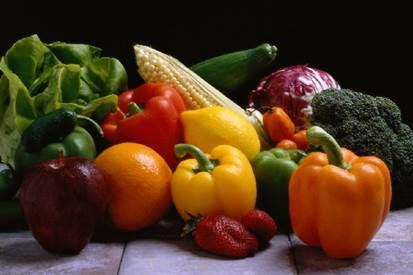 Eating fruits and vegetables that are in season can be very beneficial to your health. Not only do you get the most out of their nutritional value, but they taste better and you will save money at the food store. Buying locally grown fruits and vegetables are also suggested as they are the most fresh. When fruits and vegetables go through transportation they lose the nutritional value, if that happens why bother eating it if you can’t take advantage of everything it has to offer?! More and more stores are expanding their selection of seasonal fruits and vegetables as well as their organic sections. Many people argue that eating organic food is expensive but it doesn’t have to be all true. If you shop at Whole Foods or some other big commercial market regularly, then your food shopping bill will be huge but if you learn to shop locally and directly from small farms then you won’t be spending as much and the food you get will be better than those big named stores. Co-op food delivery services have been on the rise lately. A Co-op food service is when you get locally grown produce sent to your house or even your job. People gather as a group and order what they want. This is a cheaper way because it’s a cheaper service charge when you buy in bulk (it also saves time going to the super market)! Below is a list of summer seasonal foods so you know what to look for when you do your fruits and vegetables shopping! If you go online there are many recipes you can make using these very foods. If you really want to give your green thumb a try, you can grow most of these at home! Go to your local Walmart or Target and get some potting soil, seeds and follow the chart on the seeds. They tell you when the best time to plant each seed, growing your own fruits and vegetables is a great sense of accomplishment knowing that you grew your lunch or dinner right in your backyard!